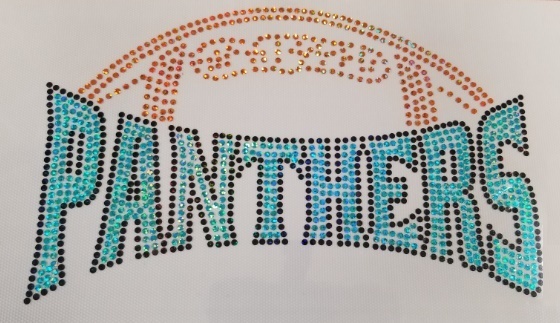 You can quickly “bling out” a garment with custom spangle transfers and you won’t need to go far to get it done by professionals. We here at AMBRO Manufacturing offer many customization services all under one roof and one of the options we can provide is custom spangle transfers. 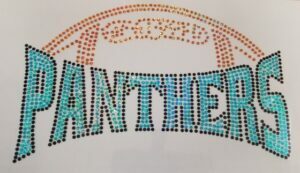 If you haven’t heard of spangles before, they’re kind of like rhinestones or sequins however they are perfectly flat and you don’t need to stitch them on! Custom spangle transfers look gorgeous and you can do so many designs with them since you can customize the colors and the spangle size. We’ll take your artwork and convert it into a spangle pattern so don’t you worry about that part. We do all of our production right here in-house to ensure excellent quality control over every project we handle, so you know you can rely on us to deliver professional results. There are tons of spangle colors to choose from and there are even different finishes like metallic, prismatic, and matte. If you’ve never worked with spangle transfers before, you don’t need to feel overwhelmed just yet because we are here to assist you throughout the entire process. Our support staff always keeps open lines of communication so that you can ask questions whenever necessary and feel confident in your designs. It’s easy to get your first project started with us as you only need to reach out to one of our representatives and we’ll show you the way from there. You can get started right away so if you’re ready to make moves then we’re here to make it happen! You can easily contact us to place an order, or to find out more about our company and all of the customization services we have to offer, by email or by giving us a call at (908) 806-8337.